Located in Little Portugal, this boutique hotel is within a 15-minute walk of Queen Street and Medieval Times. Exhibition Place and Ontario Place are also within 2 mi (3 km). Toronto Exhibition Station is 19 minutes by foot and Dufferin Station is 28 minutes. 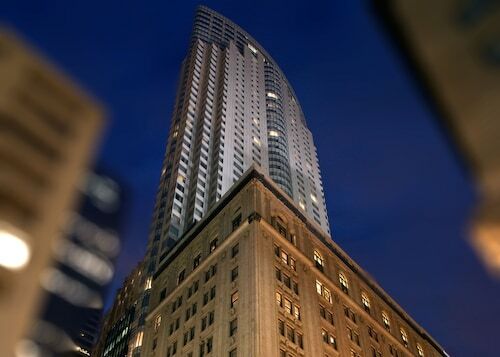 Located in Little Portugal, this hotel is within 1 mi (2 km) of Trinity Bellwoods Park, Queen Street, and Medieval Times. Exhibition Place and Ontario Place are also within 2 mi (3 km). Toronto Exhibition Station is 21 minutes by foot and Dufferin Station is 28 minutes. 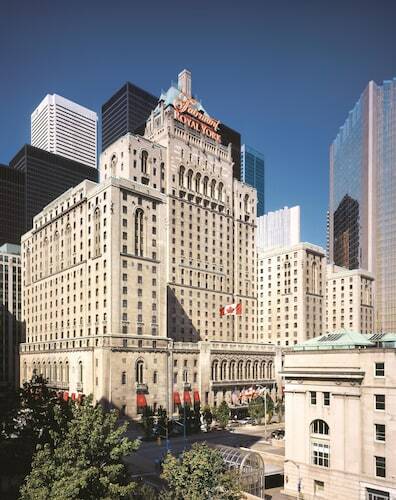 Located in Little Portugal, this hotel is within 1 mi (2 km) of Trinity Bellwoods Park, Queen Street, and Medieval Times. Exhibition Place and Ontario Place are also within 2 mi (3 km). Toronto Exhibition Station is 21 minutes by foot. 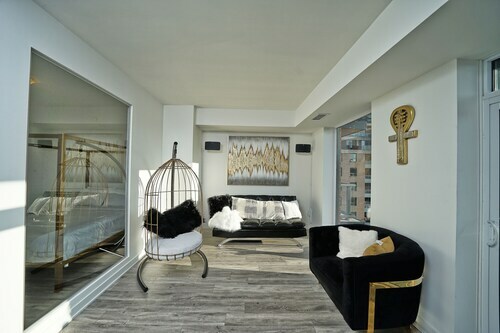 Located in Downtown Toronto, this condo building is within 1 mi (2 km) of Trinity Bellwoods Park, Princess of Wales Theatre, and Royal Alexandra Theatre. Queen Street and Art Gallery of Ontario are also within 1 mi (2 km). Osgoode Station is 21 minutes by foot and St Andrew Station is 25 minutes. 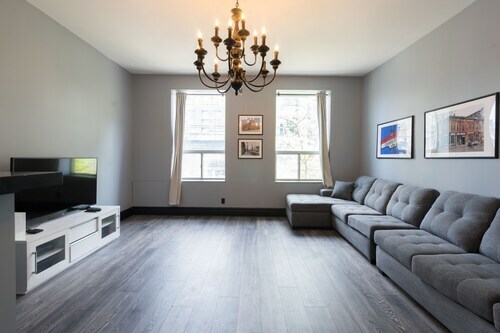 Located in Little Portugal, this condo building is within 1 mi (2 km) of Trinity Bellwoods Park, Queen Street, and Medieval Times. 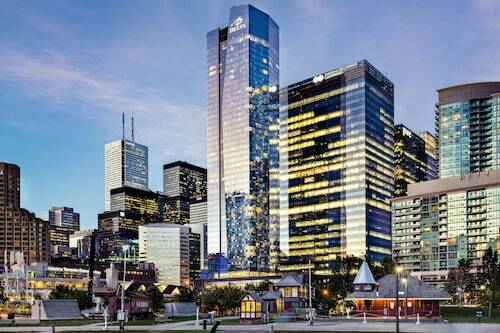 Princess of Wales Theatre and Exhibition Place are also within 2 mi (3 km). Toronto Exhibition Station is 19 minutes by foot. 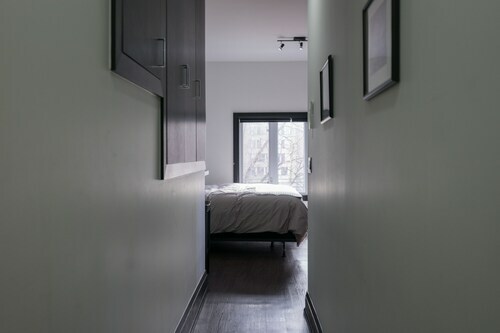 Located in Downtown Toronto, this condo building is within 1 mi (2 km) of Trinity Bellwoods Park and Queen Street. Princess of Wales Theatre and Royal Alexandra Theatre are also within 2 mi (3 km). Toronto Exhibition Station is 20 minutes by foot and Ossington Station is 29 minutes. 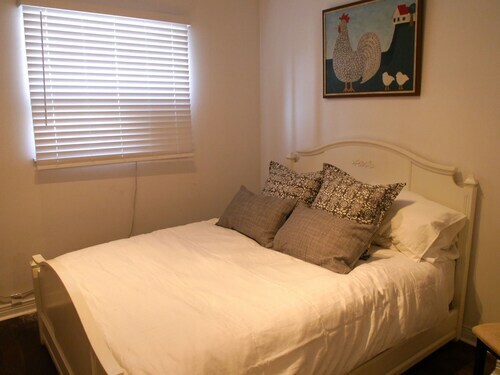 Located in Downtown Toronto, this apartment building is within 1 mi (2 km) of Trinity Bellwoods Park and Queen Street. Princess of Wales Theatre and Royal Alexandra Theatre are also within 2 mi (3 km). Toronto Exhibition Station is 20 minutes by foot and Ossington Station is 29 minutes. 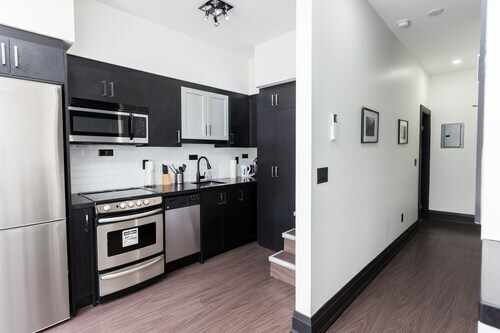 Located in Downtown Toronto, this apartment building is within 1 mi (2 km) of Trinity Bellwoods Park, Queen Street, and Exhibition Place. Princess of Wales Theatre and Royal Alexandra Theatre are also within 2 mi (3 km). Toronto Exhibition Station is 20 minutes by foot and Osgoode Station is 28 minutes. 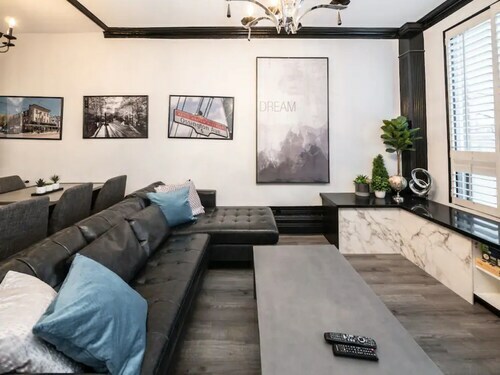 Located in Little Portugal, this condo building is within 1 mi (2 km) of Trinity Bellwoods Park, Queen Street, and Medieval Times. Exhibition Place and Ontario Place are also within 2 mi (3 km). Toronto Exhibition Station is 20 minutes by foot and Dufferin Station is 30 minutes. 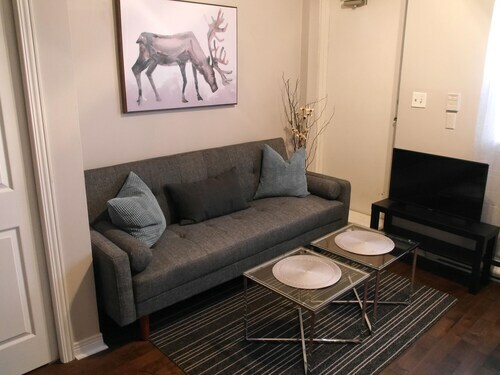 Trendy 1BR Unit on Queen St. W.
Nowhere else can you find better deals on West Queen West area hotels. You’ll find the best prices on the quirky, the haunted, the old, the new, and the legendary. If you’re wondering what side of the pricing scale some of these hotels fall on, you need not to worry. Compare cheap hotels near West Queen West to find the perfect one to will fit your budget. Leave the ordinary routine you’re set on behind and go. Go anywhere you want. Anywhere that makes you think, “I wonder what that’s like?” Part of Travelocity’s mission is to get you off-the-beaten path and the hotels near West Queen West are perfect for that. Find your new favorite watering hole on a quiet street. Discover a place to escape for the weekend with tasty local fare and unique sights. We want you to consider the places outside your normal comfort zone. Browse our selection and find the ideal hotel, in a place you’d like to explore.